Urban farming, also known as urban agriculture, essentially refers to growing plants and keeping animals that produce food within a city. It may also encompass processing and then distributing that food throughout the city. 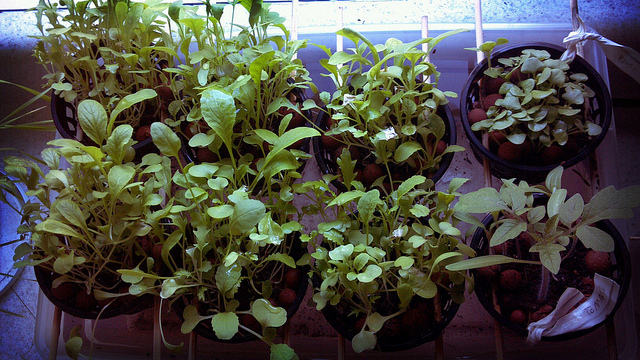 There are numerous benefits of urban farming, and here we’ll outline some of the most valuable. Good-for-you organic produce at your grocer’s is not cheap; in fact, many families can’t afford. In other words, they lack food security. Food security is having access to and being able to afford nutritious, safe food—and enough of it. This is a major concern for many families all over the world. Fortunately, urban farming contributes to greater food security. Producing food on one’s own, undeveloped land is one way for the urban poor to earn or supplement their income. Some urban farmers sell or trade their harvest, and others keep it for themselves and their families. Either way, it’s beneficial. It’s affordable, healthy produce and/or a form of income. Living in the city, it’s not uncommon that we don’t know our neighbours’ names. Urban farming is one way to bring urban dwellers together—to establish a sense of community among people otherwise independent and, in some cases, isolated. For instance, a community garden has neighbouring men, women and children work together to keep the plants alive and well in the city. Family, friends, acquaintances and even strangers come together and work toward greater food security, something positive the entire community will benefit from. From this, a sense of togetherness develops. Having access to your own herbs and vegetables is one of the many benefits of urban farming. Image via luxomedia, Flickr. The more urban farming and eating locally there is, the fewer miles food must travel before it’s on your plate. You get fresher, healthier food—herbs, vegetables and fruits—and are more likely to eat what’s in season, when you eat what’s produced on an urban farm. Besides munching on produce packed with disease-fighting vitamins, it’s no secret that when you grow your ingredients and prepare your meals, you gain respect for your food. Respecting your food makes it easier to eat mindfully and maintain not only your weight but your relationship with food. Urban farms give city dwellers a chance to produce their own food, and learn in the process. They learn about various gardening techniques, the best nutrient solutions, required sunlight, and controlling temperature, among other things. Because urban farming requires hands-on maintenance, it’s easy to pick up tips and tricks and truly exercise your green thumb. This is not something many people in the city have the opportunity to do, given the lack of green space and room for a traditional garden. 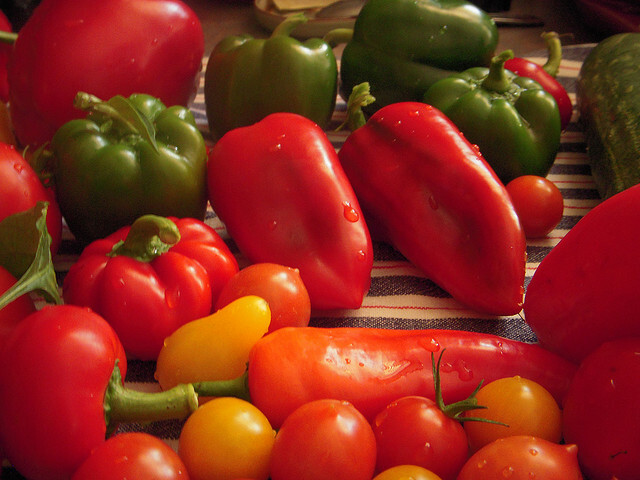 Urban farming provides you with fresh, healthy food you can appreciate. Image via Mirandala, Flickr. A growing population alongside diminishing arable land is a definite concern. Urban farming is a great way to efficiently use the land we do have to feed the people. 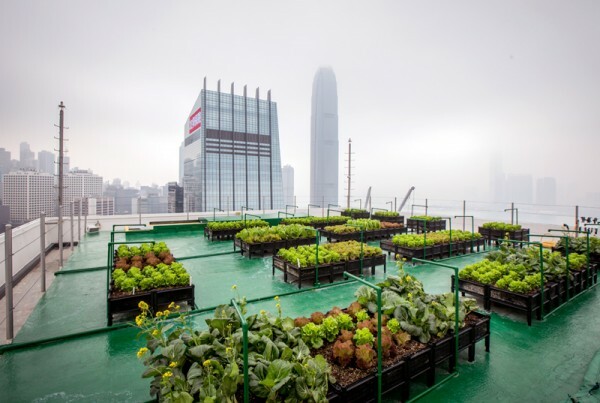 Consider rooftop gardens: they take up minimal space but produce tons of fresh, healthy produce. What’s more, this is space that would otherwise go unused. Also consider vertical gardens, where many hydroponics systems are set up vertically, fitting nearly anywhere you would like them, including indoors! Bear in mind that, depending on the city you live in, there are rules you must abide by when it comes to urban farming. So, be sure to research before you set up your own. 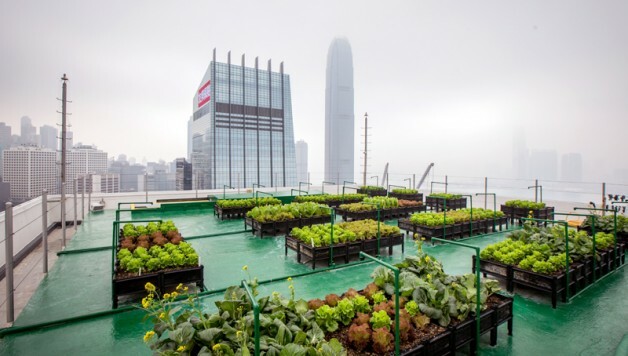 To conclude, urban agriculture is positive in several ways: it increases food security among the urban poor; creates a sense of belonging in the community; gives you vitamin-dense foods you can respect; provides urban dwellers a learning opportunity; and makes efficient use of the land.Feature Image: Rooftop gardens in Hong Kong maximize space for urban farming. Image via PRC Magazine.